On October 24th the 7th and 8th grade classes embarked on a joint field trip to not only learn about 1956, but also to see it. The children were given pictures of the city taken in 1956, a map with various red X’s and a fill in the blank sheet and assigned the task of exploring the city to these locations and finding the pictures that matched them. Rain and cold did not stop them from completing these challenges. 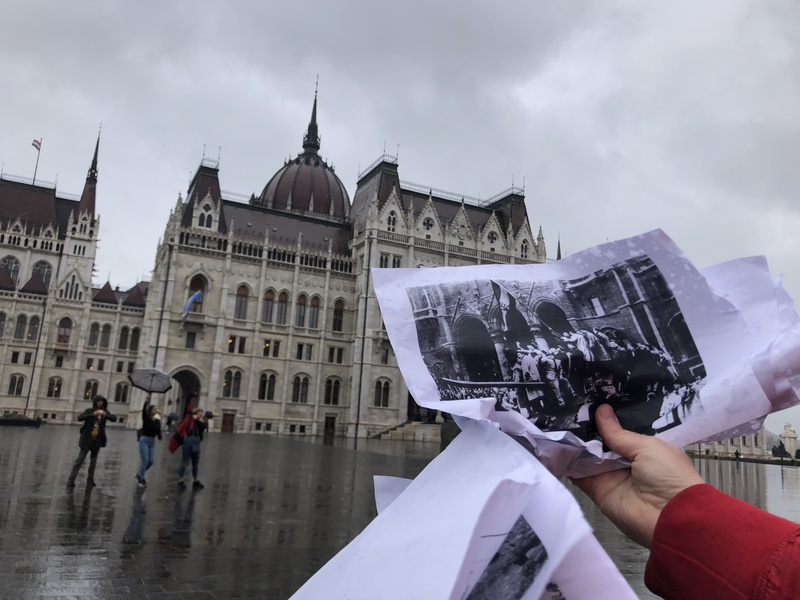 Overall the children gained a better sense of their beautiful city, worked with a map for getting from one location to another and bonded with their classmates.